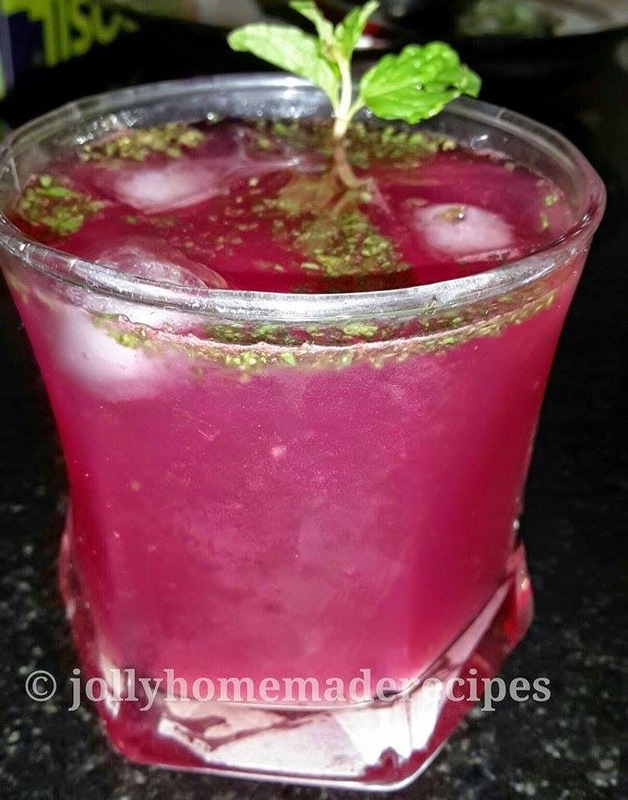 Beat the heat with cool & refreshing drink "Rose-Mint Delight". This drink gives you freshness and makes your day perfect :) :) . This is really delicious drink. This is one of my favorite drink because it is easy and take very less time to make and their taste its just unique like a flavor of pan. Is there any better way to quench your thirst then with a chilled refreshing glass of cool drink in this hot summer? That too not with any regular lemonade but with Rose-Mint Lemonade! 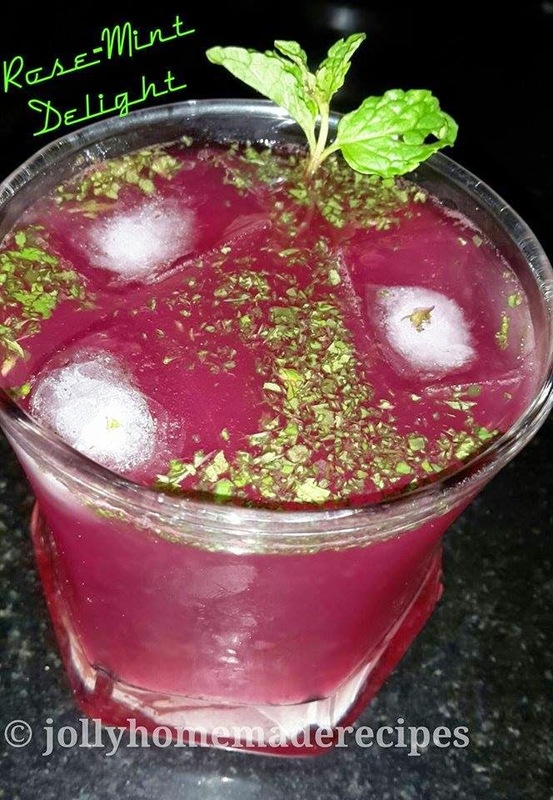 You will fall in love with its color, energizing flavor and its incomparable aroma of mint leaves which I really liked it :) Refreshing and cool rose squash with a splash of lime, mint leaves and addition of vodka is the perfect drink to enjoy on a hot summer day. It is so simple to make. 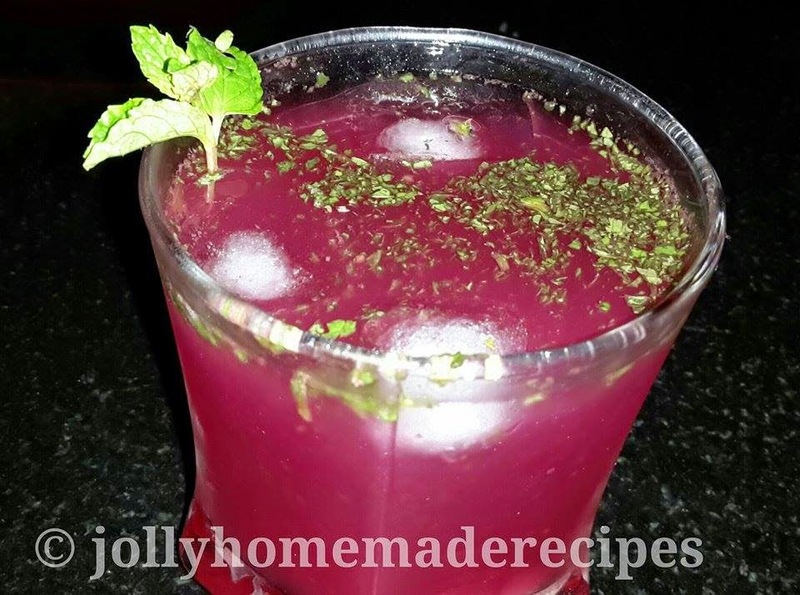 You can make end number of cool drinks at home like Orange Mocktail, watermelon smoothie, beetroot squash, Cucumber Lemonade , mojito, guava punch and many more !! 1. For preparing rose-min delight, blend all ingredients in a grinder. 2. Chill in the refrigerator for at least an hour. When it is chilled, serve over with ice and garnish with mint leaves !